Microsoft’s Xbox One have been suffering with different hardware problems since its launch, many users have reported several problems with their Xbox One consoles. According to Microsoft, the number of defective consoles is very less compared to the number of units sold but the manufacturer has not made a statement regarding the cause of the issues. Different Xbox One hardware problems are being reported as the users are spending more time with their consoles, here is another wired problem reported by some users. Some Xbox One users are complaining about new and quite weird Xbox One hardware problem on Xbox Support forums. 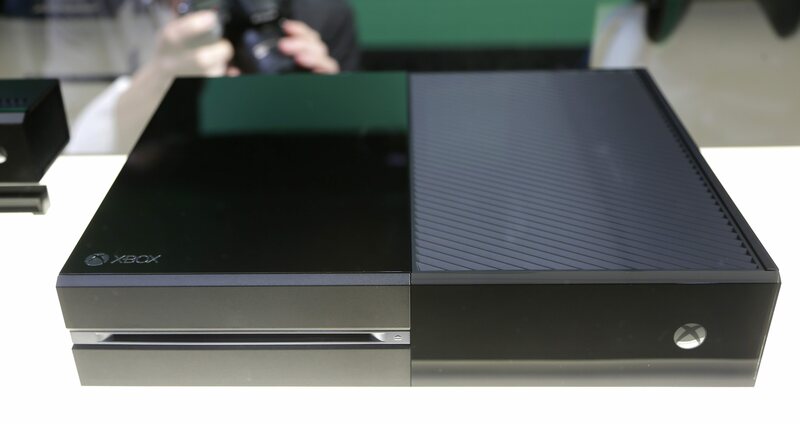 According to the users that are reporting the issue, their Xbox One console started leaking a sticky liquid leaving behind a milky-white residue on the console’s case. 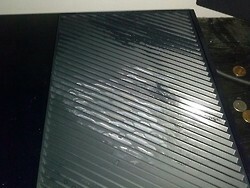 The oily liquid appeared on the vent of the main heatsink fan of the console. CynicalAnarchy, the user suffering from this Xbox One hardware problem, also updated his thread on the forums with two pictures of his defective Xbox One console showing the leaked liquid, below is the statement he issued to SpawnFirst about the problem with his console. 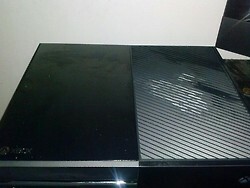 The white residue could be seen clearly on the vent of main exhaust fan of Xbox One in the pictures. For now, the supposition is that the leaking liquid is probably the thermal compound that was applied between the GPU/CPU and heatsink of the Xbox One console at the time of manufacturing of console to control the heat level. The liquid showed up on the vent of main heatsink fan at the right-front of the console so it could be the thermal compund that turned into a sticky liquid after heating up. But according to a user on n4g, the fluid could also be of a faulty capacitor inside the console. The users reporting this Xbox One hardware problem have mentioned the liquid to be “oily”, just as the liquid that comes out of a faulty capacitor, so it is possible that a capacitor inside the console is leaking the liquid. So far only two users have reported this unusual Xbox One hardware problem and none of them have no idea about the cause of leaking liquid. Xbox Support is obviously already aware of the issue but there is no official statement made up until now.